The red head here makes it clear this is a member of the Woodpecker family. 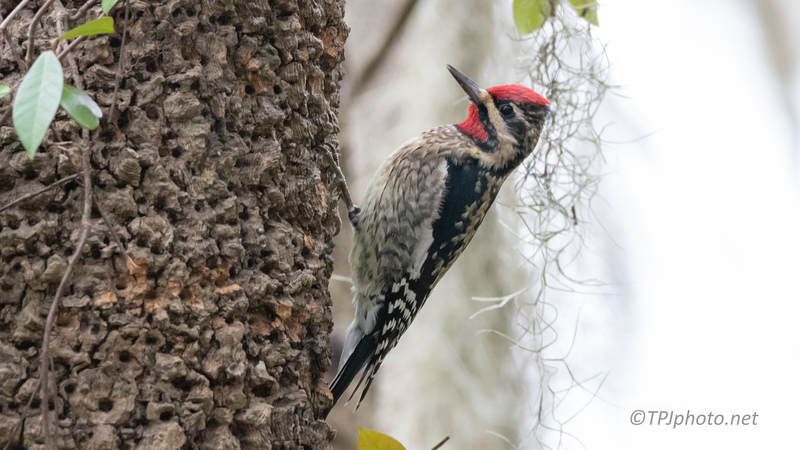 Most times they are confused with a Downy Woodpecker, a scruffy looking one. They have a great trick to feed, and you can see it above. 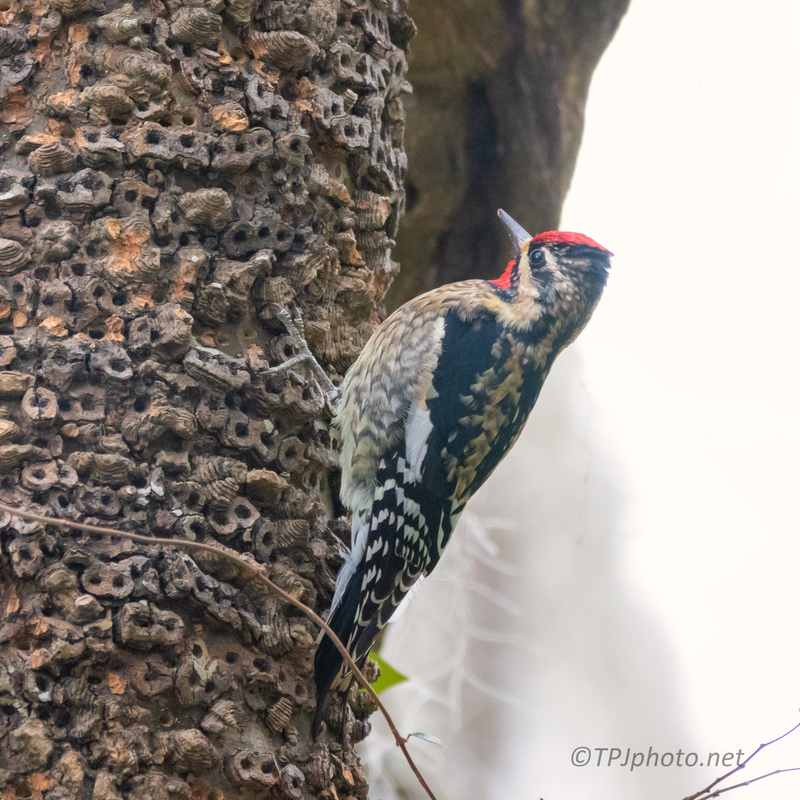 A Sapsucker will drill rows on tiny holes. These will fill with sap, and also trap insects. The bird returns to the tree and laps the sap and insects. In the following images you can see how many holes this tree has. How is it still standing! Sapsuckers have small brushes on their tongue which helps cleaning out the small holes. Based on the photograph above I would say generations of birds have been at this tree. Click, or double tap, any image below to view the gallery. Fascinating! A beautiful woodpecker too, nice shots! That tree has a million holes LOL. Thanks.